The 2018 eruption on the Lower East Rift Zone of Kilauea Volcano was a remarkable event in many regards. From early May through mid-August scientists and society alike bore witness to voluminous amounts of lava erupted out of a new fissure system that formed within the middle of the Leilani Estates subdivision, ultimately destroying over 700 homes and creating 875 acres of new land. There are places in the Cascades where a similar eruption could unfold. These include Newberry Caldera near Bend, OR, and also in the greater Portland area which has had a series of cinder-cone-style eruptions occur over the last several million years that collectively form what is known as the Boring Lava Field. Cascades-relevant lessons from the Kilauea volcano include the importance of having monitoring equipment in place before unrest begins; the importance of continuously engaging stakeholders in the emergency response community, in land-management agencies, and in communities near volcanoes so that when a volcano wakes up there is broad familiarity with roles and responsibilities as well as the nature of volcanic hazards; and the importance of having good working models of volcanic systems to help interpret the significance of various unrest phenomena associated with the movement of magma. Our speaker Seth Moran is a seismologist and Scientist-in-Charge (SIC) for the U.S. Geological Survey’s Cascades Volcano Observatory (USGS-CVO) in Vancouver, Washington. The Middle to Late Eocene Coaledo Formation and underlying Beds of Sacchi Beach record a marine history of forearc sedimentation. The sediments aggrade from slope turbidites to shoreface deltaic sandstone encased in deep-water silty mudstone. This talk is a progress report on a multiyear, multidiscipline research program, testing the hypothesis that the Sacchi Beach-Coaledo succession represents a shelf-margin lowstand of sealevel deltaic system. A team of 12 geoscientists is collecting an interdisciplinary database for reassessing the depositional history of the rocks exposed along the Cape Arago, Shore Acres and Sunset Bay State Parks. Sorry this trip is sold out. Sorry this tour is sold out! Email Paul to get on the waiting list. 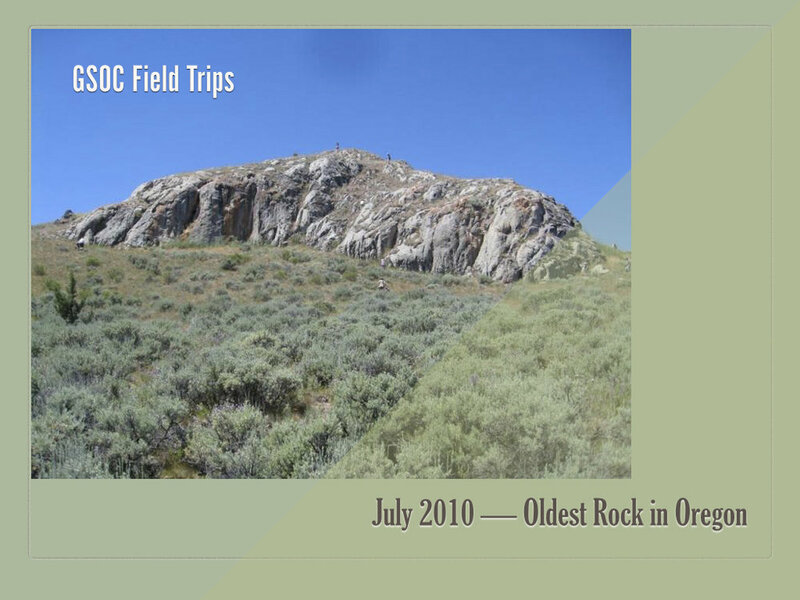 July Lecture — Eastern Oregon Volcanics: Yellowstone Mantle Plume or Cascadia Slab Rollback? PSU Geology doctoral candidate Vanessa Swenton will discuss her research investigating some of the volcanic eruptions that occurred in eastern Oregon approximately 16 million years ago (Ma) to present day. There are two dominant volcanic provinces that have had episodes of high-silica (silicic/felsic) volcanism in eastern Oregon. The older episode is known to be associated with the Yellowstone mantle plume and Columbia River Basalt Group volcanism. The younger episode is within the High Lava Plains, and it is debated as being solely a result of the initial Yellowstone plume, or as a result of Cascadia slab rollback processes. Perhaps ‘peak’ is not the right word when referring to Kilauea. Travelling up Hwy 11 around the South Point area to the Kilauea caldera, you cannot even see the summits of Mauna Loa on the left and much smaller Kilauea on the right. These young Hawaiian shield volcanoes are massive and wide. Between Na’alehu and Pahala there are some weird looking slump blocks on the slope of Mauna Loa to the left. And as you approach the summit of Kilauea, there is a small canyon formed in the crease between the two volcanoes on the left. But once you see the Kilauea caldera you won’t mistake this for anything less than an active volcano. Or, what goes up must come down! This article came about by Sheila Alfsen asking me to include some information about the Great Crack of Kilauea, which might interest some of the membership when they are visiting the Big Island of Hawaii. I didn’t feel I could do justice to the topic unless I also covered the great landslides, produced by volcanic spreading, on the ocean floor surrounding the Hawaiian islands. The knowledge of landslides around the Hawaiian islands did not come about until the 1980’s. As a result of then President Reagan’s refusal to sign the Law of the Sea Treaty proposed by the UN in 1983, and subsequent announcement that the US would be declaring a 200-mile Exclusive Economic Zone around all of its territories, the USGS was tasked with mapping those underwater zones. They did so with a relatively new technology, side-scan sonar, which has fairly good resolution for mapping large blocks of material on the ocean floor. William Greer, a former GSOC member, died at age 88 on January 1, 2019. Greer was born and raised in Red Bluff, California. He grew up loving the outdoors, and pursued a career in engineering with Westinghouse. Greer and his wife Lillian moved to Portland in 1963 and continued working for Westingouse in power distribution systems. When he retired, Greer pursued his interest in the outdoors by studying geology at PCC and PSU and also by becoming a master gardener specializing in rhododendrons. Memorial contributions may be made to the OSU Master Gardener Program or the American Rhododendron Society. President Paul Edison-Lahm called the meeting to order at his home. Other board members in attendance constituting quorum were Dawn Juliano, Sheila Alfsen, Rik Smoody, Larry Purchase, and Megan Faust (appearing remotely). Minutes of the December 2018 board meeting were approved. As part of our mission to promote Cascadia awareness, GSOC President-elect Sheila Alfsen hosted a two-day Earthquake Preparedness Conference in November for Chinese government delegates from the Anhui Province Department of Land and Resources. The group was interested in learning about precautionary measures that the United States has adopted in response to earthquakes, including early warning systems, emergency responses and data analysis to identify future events. 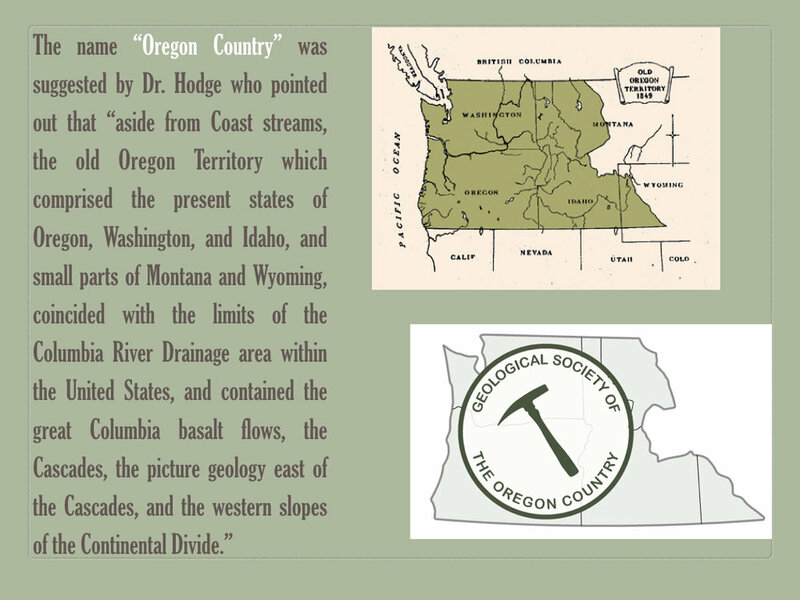 The Geological Society of the Oregon Country (GSOC) is a non-profit organization based in Portland, Oregon. 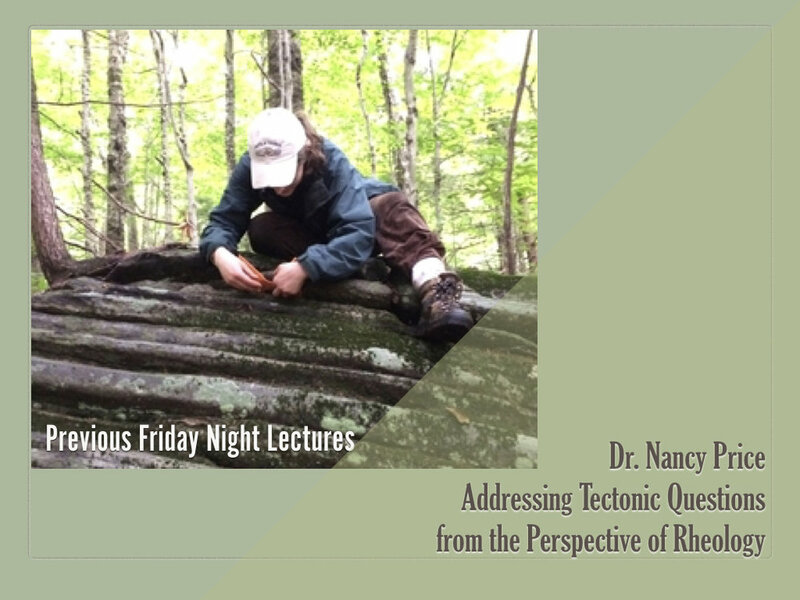 The society is dedicated to the study of geology in the Pacific northwest and is open to persons with all levels of education and professional backgrounds. Learn more about joining GSOC.